John Gotti, also known as 'The Teflon Don,' was an organized crime leader who became head of the Gambino family. 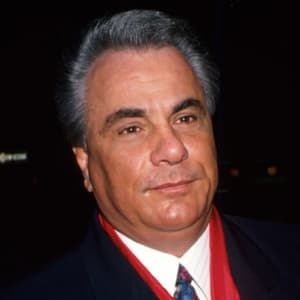 Born in 1940 in New York City, John Gotti would face run-ins with the law several times, including a four-year prison term for manslaughter, before becoming head of the Gambino crime family. Nicknamed "Teflon Don" for his ability to remain free, Gotti was eventually convicted on multiple criminal counts and sentenced to life in prison. 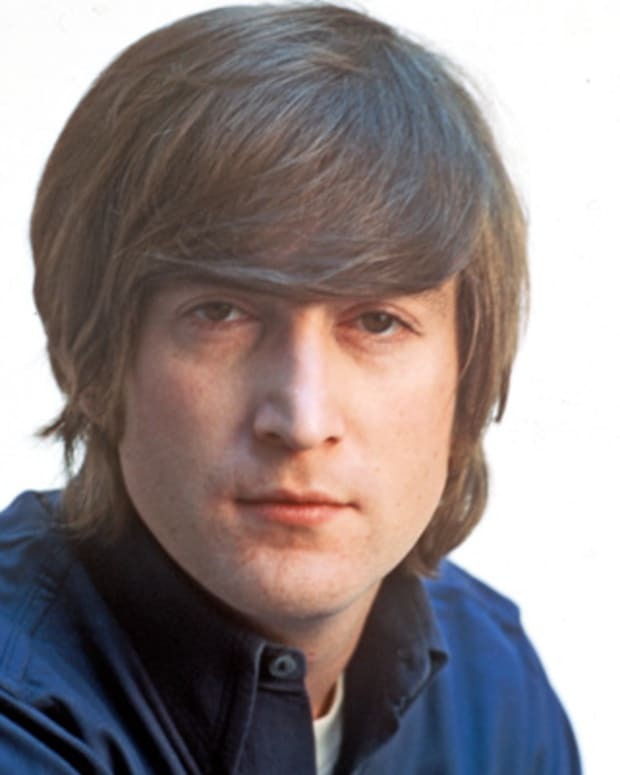 He died on June 10, 2002. Gotti, the much-anticipated film starring John Travolta, has pushed back its opening to 2018, rather than its original December 2017 premiere date. The film has faced a number of difficulties, including securing the right director, and has gone through almost four dozen producers. Filming began in 2016 but since then, the A-list cast of Al Pacino, Joe Pesci and others have dropped out of the project. John Gotti had a net worth of $10 million. Infamous criminal and crime boss John Gotti was born on October 27, 1940, in the South Bronx, New York. Mother, Fannie, and father, J. Joseph Gotti, were both Italian immigrants. Gotti was the fifth of 13 children in a family whose only income came from their father&apos;s unpredictable work as a day laborer. Gotti and his family moved frequently before settling in East New York, an area known at the time for its gang activity. 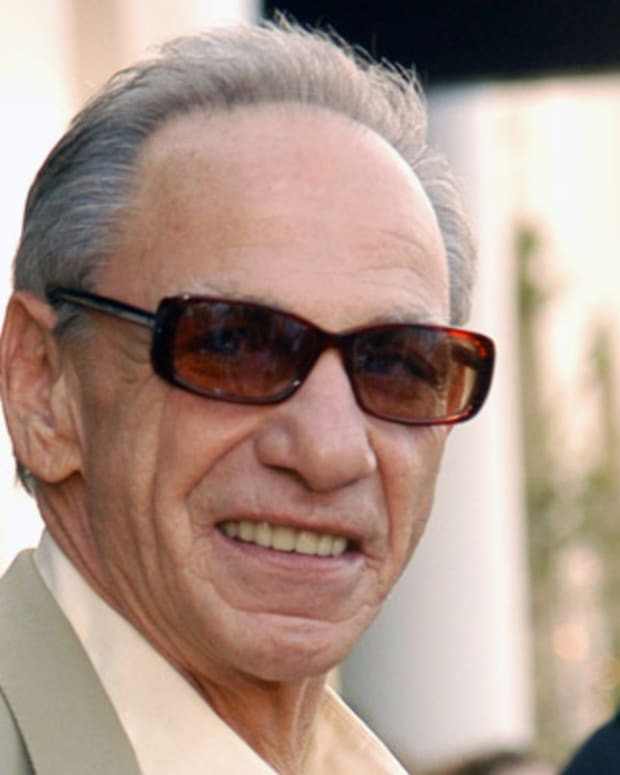 By the age of 12, Gotti was working as an errand boy for an underground club in the neighborhood run by Carmine Fatico. Fatico was a captain in the local Gambino family, the largest of the five organized crime families in New York City. Through his activities with the club, Gotti met Aniello Dellacroce, who became his life-long mentor. Gotti soon became the leader of a gang called the Fulton-Rockaway boys, a group known for their frequent robberies and car-jackings. When he was 14, Gotti&apos;s toes were crushed as he tried to steal a cement mixer. The accident gave the mobster-to-be his trademark gait, and earned him another incident on his list of petty crimes. He was considered a bully and constant discipline problem at Franklin K. Lane High School until he dropped out at 16. By the age of 18, the police department ranked Gotti as a low-level associate in the Fatico crew. Between 1957 and 1961, Gotti pursued a life of crime on a full-time basis. His arrest record included street fighting, public intoxication and car theft. By his 21st birthday, Gotti had been arrested five times, but served little jail time. On March 6, 1962, Gotti married 17-year-old Victoria DiGiorgio. At the time of their marriage, DiGiorgio had already given birth to their first child, Angela, and was pregnant with their second. In the early years of their marriage, the couple fought constantly and separated numerous times. Gotti briefly tried his hand at legitimate jobs for the sake of his family: first, as a presser in a coat factory, and then as an assistant to a truck driver. His crime-free life was brief, however, and Gotti was jailed twice by 1966. 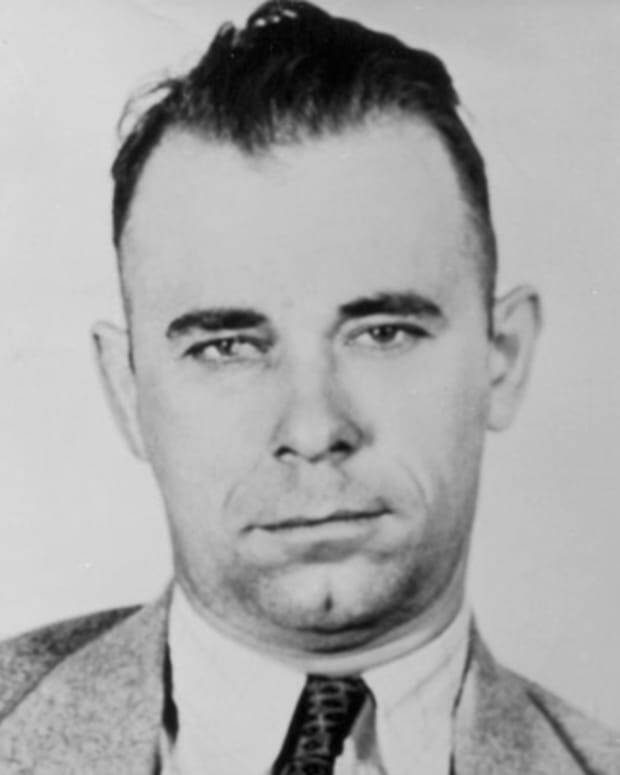 When he and his family made the move to Ozone Park in Queens, New York, the budding criminal quickly became a major player in the Gambino hijacking crew. In 1968, Gotti served his first major sentence when the FBI charged him and his two accomplices with committing cargo thefts near John F. Kennedy Airport. All three men were convicted of hijacking and sentenced to three years in prison. While Gotti served his time, the Fatico crew moved from East New York to a storefront near Gotti&apos;s home in Queens. The group&apos;s headquarters was disguised as a non-profit organization called the Bergin Hunt and Fish Club. After his release from prison in 1971, Gotti was designated as the temporary leader of Fatico&apos;s gang while the captain faced loan-sharking charges. In May of 1973, while Gotti was captain of Fatico&apos;s crew, he committed his first murder: the shooting death of Jimmy McBratney, a rival gang member who kidnapped and murdered a member of the Gambino family. Gotti was sent to exact revenge, but he was less than discreet, leaving multiple witnesses at the scene of the crime. Gotti was arrested in 1974 after several bystanders identified him in a photo line-up. At his trial three years later, Gotti cut a deal with the court. 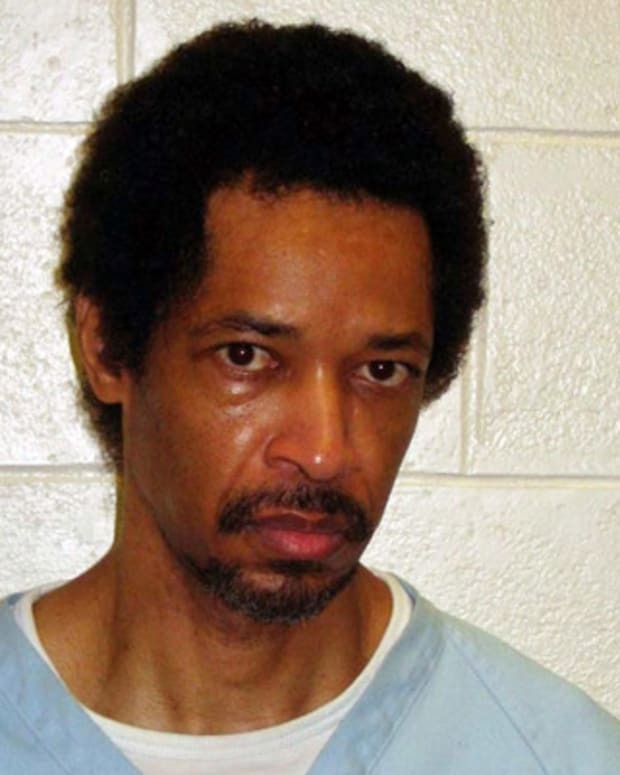 In return for a plea of attempted manslaughter, he served only four years in prison. In 1976, the head of the Gambino family, Carlo Gambino, died. Gambino chose to leave his brother-in-law, Paul Castellano, in charge of the family. In a gesture of goodwill, Castellano allowed Dellacroce to remain the family&apos;s underboss, giving him control over 10 of the 23 Gambino crews. 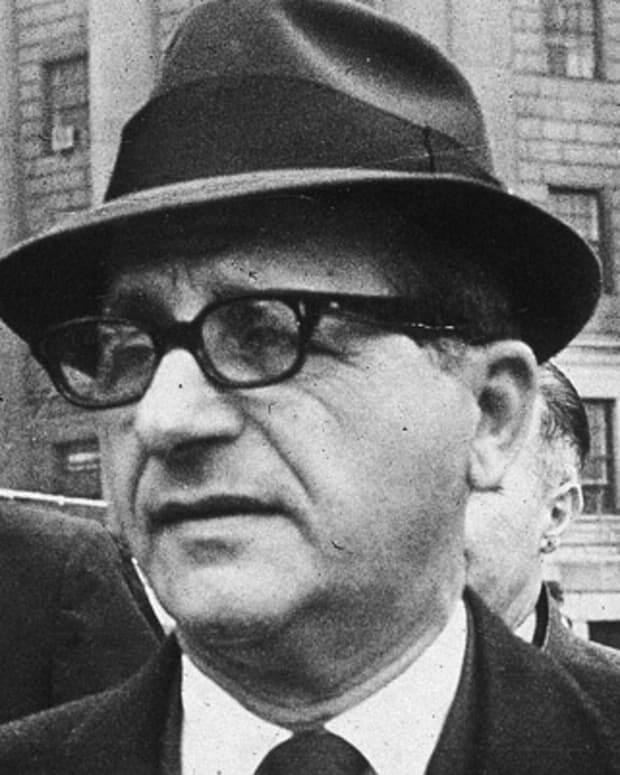 When Gotti returned from prison in 1977, Dellacroce promoted the mobster to captain of the Bergin crew. 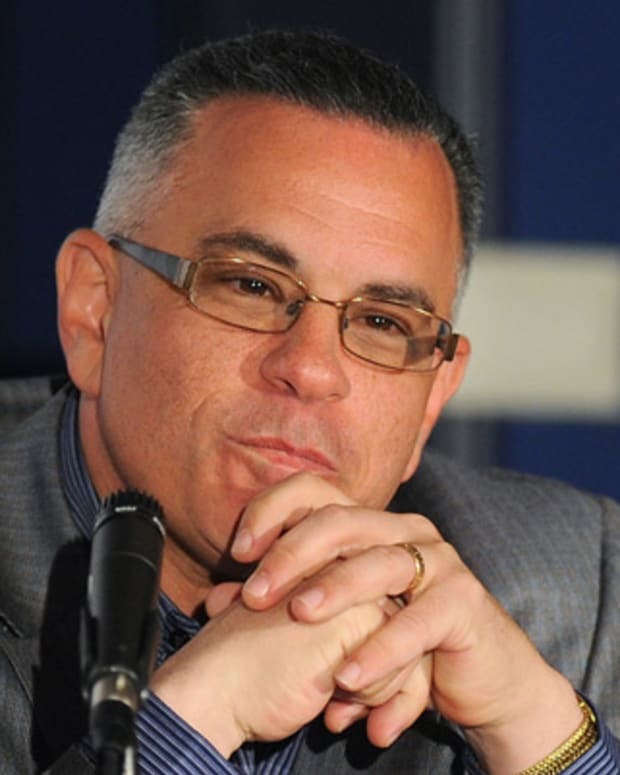 In March of 1980, personal tragedy hit the Gotti family when 12-year-old Frank Gotti (youngest son of John Gotti) was struck by a car driven by neighbor John Favara after the boy steered his bike into traffic. The death was ruled accidental, but witnesses say Gotti&apos;s wife, Victoria, later attacked Favara with a metal baseball bat, sending him to the hospital. Favara decided not to press charges. 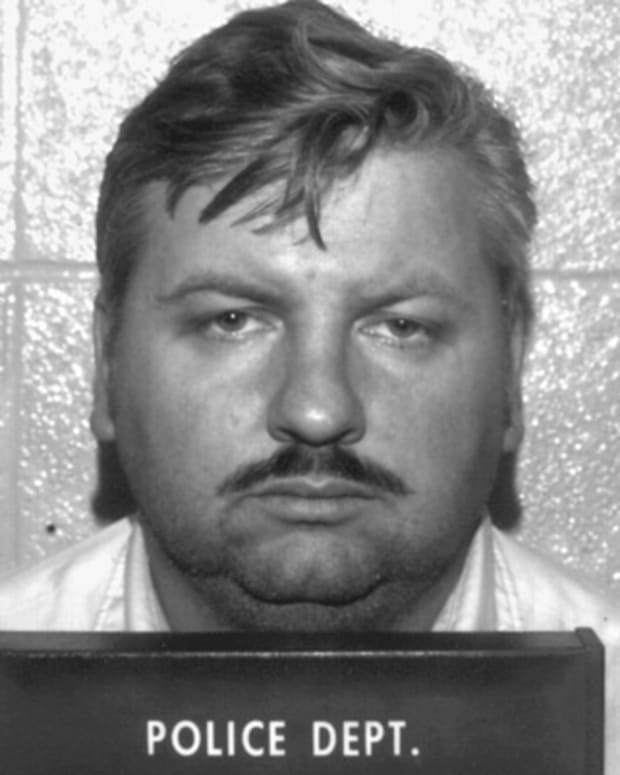 According to witnesses, Favara endured four months of death threats until July 28, 1980, the day he was clubbed over the head and shoved into a van. His body was never found. Gotti and his family were on vacation in Florida at the time of their neighbor&apos;s disappearance, and deny any knowledge of his whereabouts. By the early 1980s, John Gotti&apos;s prominence in the Gambino family had earned unwanted attention from mob boss Castellano. He considered Gotti&apos;s $30,000-a-night gambling habit a liability, and he also disapproved of the Bergin captain&apos;s unpredictable behavior. Gotti&apos;s activities also caught the eye of federal agents who, unbeknownst to the mobster and his crew, installed surveillance equipment in the Bergin club in 1981. In 1985, the FBI had gathered enough evidence to place Gotti and Dellacroce under federal indictments for racketeering. Other associates were indicted on heroin trafficking charges. The drug charges infuriated Castellano, who punished illegal drug trafficking with a penalty of death. As captain, Gotti knew he would be held responsible for the transgressions of his crew. To smooth over the situation with Castellano, Gotti asked Dellacroce to speak to the boss on his behalf. But before an understanding could be reached, Dellacroce died of cancer. 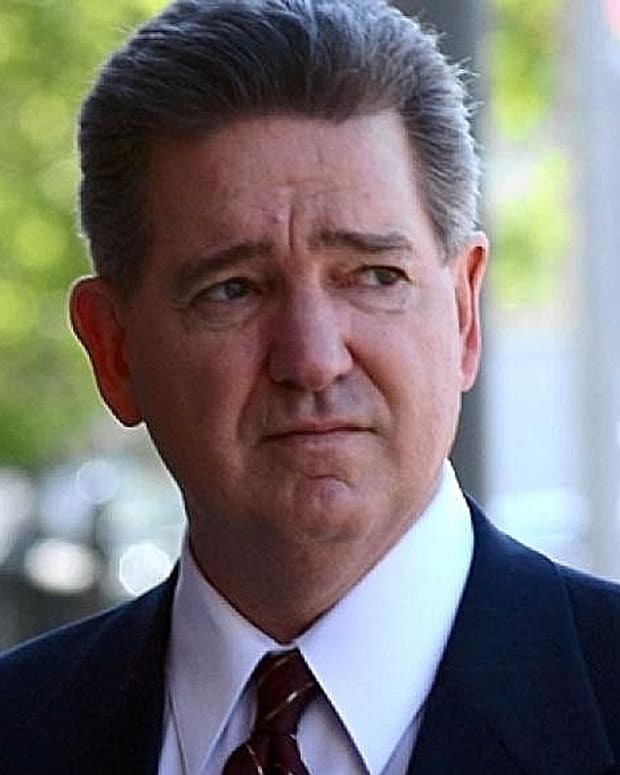 All goodwill between Castellano and Gotti dissolved when the boss didn&apos;t attend Dellacroce&apos;s funeral. Gotti saw the behavior as disrespectful and, according to later testimony, he decided to take action. Two weeks later, on December 16, 1985, Castellano was gunned down outside Sparks Steak House in Manhattan. Gotti was made boss soon after. By August of 1986, John Gotti had become something of a local hero and icon in his Howard Beach neighborhood. When it came time to face trial for the racketeering charges, Gotti and the other defendants were acquitted of their crimes. FBI officials later discovered that the jury foreman fixed the verdict. It was a crushing defeat for law enforcement officials, and Gotti became the mob&apos;s symbol of invincibility, earning the name "Teflon Don" because charges against him "just wouldn&apos;t stick." The FBI then turned the conviction of Gotti into an organizational crusade. After pressuring the Gambino family&apos;s new underboss, Sammy Gravano, into testifying against Gotti, the mob leader was finally convicted of murder and racketeering on April 2, 1992. It is estimated that, while John Gotti acted as boss, the Gambino family made more than $500 million in revenue from illegal activities such as gambling, drug trafficking, extortion and stock fraud. As a repeat offender, Gotti was sentenced to life in prison without possibility of parole and sent to federal prison in Marion, Illinois. According to federal prosecutors, after his imprisonment he appointed his eldest son, John "Junior" Gotti, as acting boss of the Gambino family. In 1999, his son pled guilty to racketeering charges and was sentenced to six years in prison. John Gotti remained in jail until June 10, 2002, when he died in the federal prison hospital from complications with head and neck cancer. The Gotti Family, forbidden by the Diocese of Brooklyn to hold a funeral mass for the mobster, had a ceremony at a funeral home in Queens with 200 friends and family. After the brief ceremony, a motorcade of 75 limousines drove past Gotti&apos;s local haunts as 200-300 onlookers watched. Gotti was interred at St. John&apos;s Cemetery, next to his son Frank.